Get off the Beltway at Rt 50 and head west. You’ll hit a bunch of red lights, but in the next few miles, there are several ancient motels. One of them has a second floor picture window over the office. Inside the window is a huge, wooden ship’s wheel. It’s the sort of wheel you might find on some ancient sailing craft. A short time later, Rt 29 continues straight while Rt 50 takes a turn to the right and heads northwest. You want to stay on Rt 50. It’s called the Lee Jackson Memorial Highway along here. It runs straight as an arrow all the way out to the tiny community of Aldie. 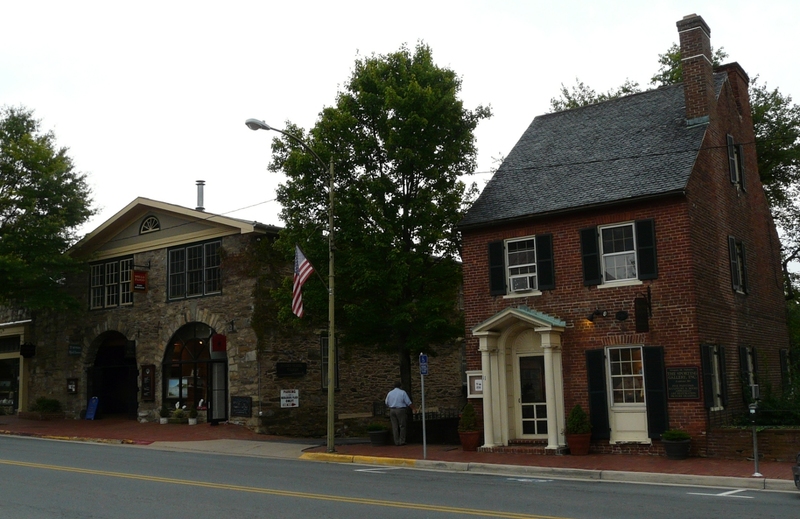 Aldie is famous for a double-waterwheel grist mill. This is worth stopping and taking the tour. When you grow bored with the mill, back track a mile or so to the Rt 15 intersection and head north. This is called the Monroe-Madison Memorial Highway. 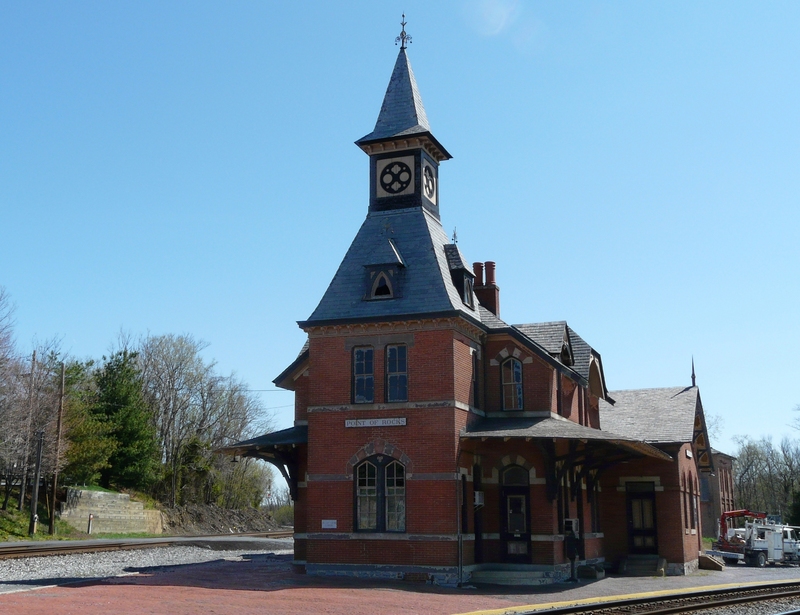 You’ll arrive in Leesburg in short order and you will have a choice. If you continue straight, the road will take you to downtown Leesburg. This is a lovely old community with a lot of hundred-year-old buildings covered in gingerbread. If you don’t feel up to dealing with tourist trap traffic, then take the Rt15/Hwy7 (Harry Byrd Hwy) bypass west. On the west side of Leesburg, you’ll take Hwy9 north. This area will have a lot of McMansions scattered around, like mushrooms after a summer storm. You’ll be on Hwy9 for less than a mile when you’ll come to an intersection. Take State Rt. 662, Clarkes Gap Rd, north. This is where you’ll start to see some very pretty farm and horse country. There are several vinyards in the area, if you’re so inclined. The next community is the small town of Waterford. The road will come to a tee. Take the right-hand side and follow State Rt. 665, Loyalty Rd., north. A little over a mile from Waterford, you’ll want to take Stumptown Rd. heading back towards the east.This is also known as State Rt. 662. Keep your eyes peeled for a small, blacktop crossing called Newvalley Church Rd. You’ll take a left there. If you keep going, Luckette’s is the next community and it is at the intersection of Rt15 once more. There are several large antique outlets on this corner. If you’ve gotten this far, then you need to back track about a quarter mile to Newvalley Church Road, which you will take north. Another quarter mile or so, the road will curve back towards the west. It will bring you to an intersection where you will want to continue straight, on to Bald Hill Rd., State Rt. 673. This will lead you back to Loyalty Rd, State Rt. 665. Turn right and head north, once more. Taylortown is the next little community. Turn right at the intersection on State Rt. 663. A VERY short distance later, you’ll see State Rt. 665 heading north, once more. It is now called Furnace Mountain Road. 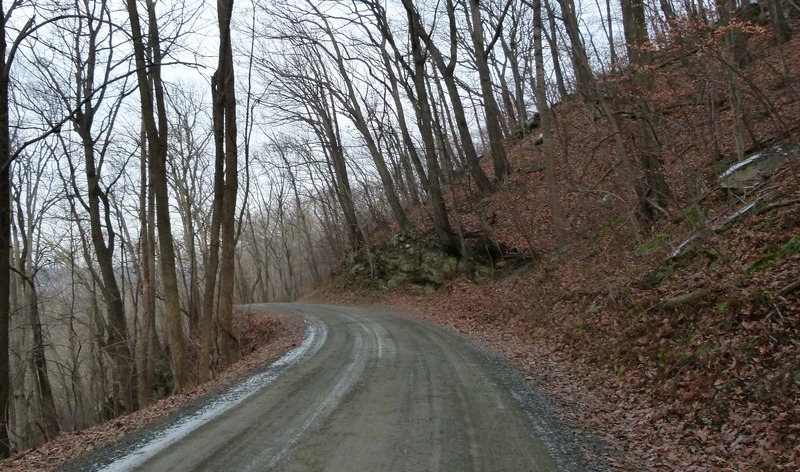 Furnace Mountain road starts as a two-lane blacktop. It quickly turns into a 1.5 lane wide gravel road that winds through some beautiful woods and small farms. Please take it slow and easy. You are liable to run into people walking dogs and horseback riders. Give them right-of-way. This is their mountain, after all. Enjoy the views and when you see some level, wide spots, pull over for some pictures. This scenic trail ends at State Rt. 672 and if you turn right, you’ll be at Hwy15 in less than a hundred yards. You are at the Potomac River at this point and there is a small waterfront park if you’d like to stop for some river shots. Turn left and head north on Hwy15. You’ll immediately cross the Potomac River and will be in Maryland. Take the first right turn after the bridge and it will lead you down to the old railroad town of Point of Rocks. There are several good photography spots at Point of Rocks. The most obvious is the old train station. It is situated where two major rail lines split off. On most weekends, the parking lots are empty and you can wander around. 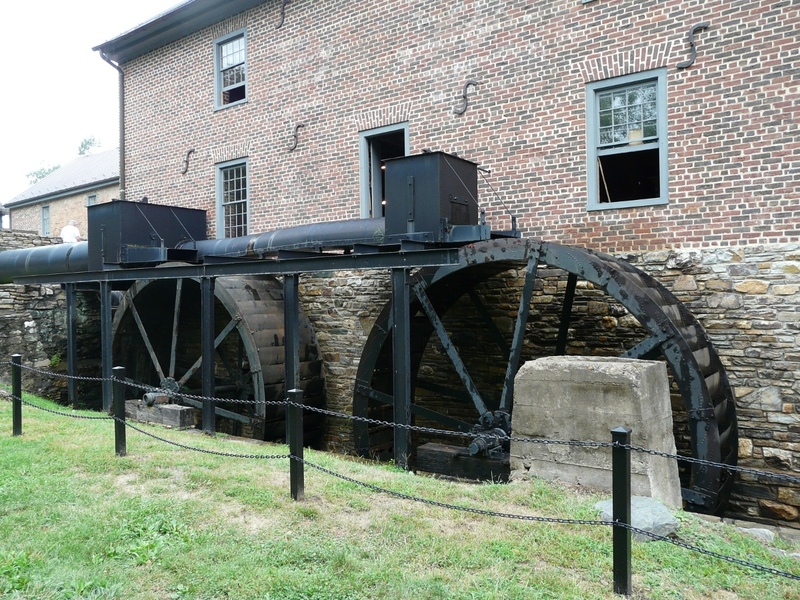 Running parallel to the tracks is the C&O Canal National Historic Park. There is a very popular biking and hiking trail that follows the canal towpath. If you walk about a quarter mile west, along the towpath, you will walk under the modern, Hwy15 concrete bridge. 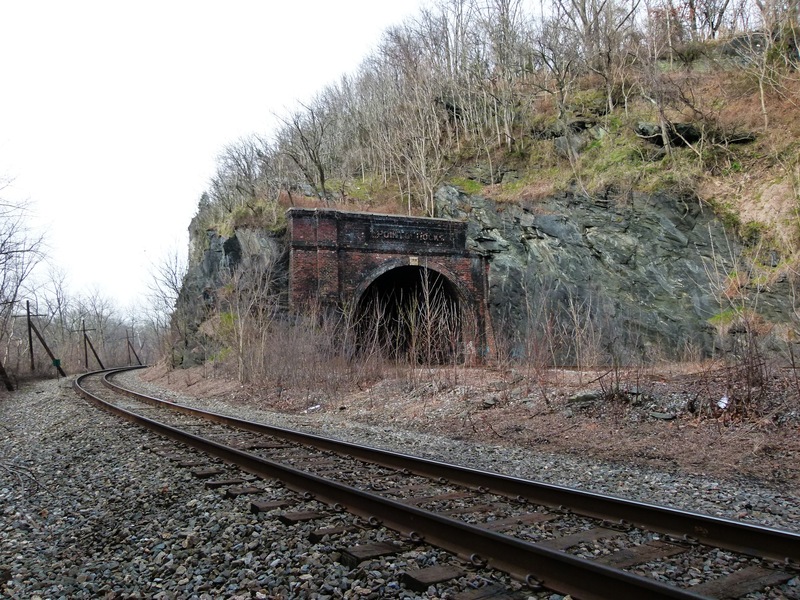 Just past it, there is the eastern entrance to the Point of Rocks railroad tunnel that was built in 1903. It’s a wonderful example of old red brick work. Another quarter mile walk will take you around a curve, to the western end of the tunnel. When you’re bored with Point of Rocks, just hop back up on Hwy15 and head south, to Leesburg. The bypass will allow you to return to the Beltway area via Rt7 or continue south on Hwy15 until you get back to Rt50. If you take this run, post a comment or two.